Teach your pup to say cheese. 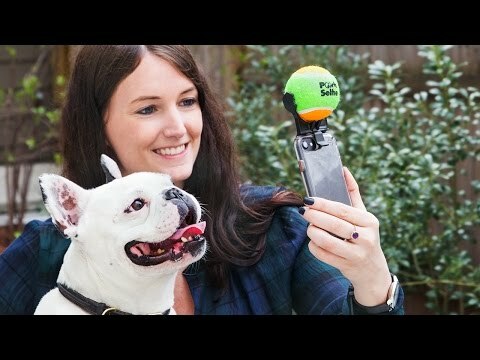 This mount is like a dog selfie stick—but better. 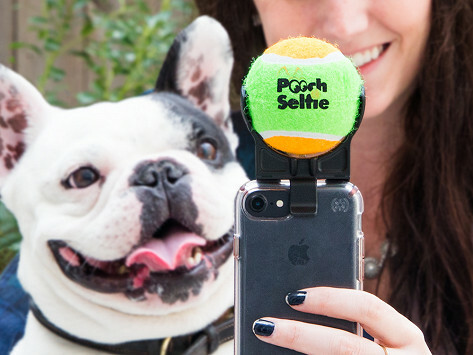 You’ll get the picture-perfect shot every time thanks to the tennis ball mounted on top. Oh, and it squeaks for extra camera-gazing motivation. Bought as a gift. Niece really liked it. It is so easy to use. I got great pictures of my dog. Now you’ll have a generous collection of ‘grammable, Facebook-caliber, runway-worthy shots of your pup.